Can I Exchange Cinnamon for Allspice? It takes more fresh than dried nutmeg to taste its flavor in recipes. 2 What Is Chicory Root Extract? 3 Can I Exchange Cinnamon for Allspice? Nutmeg's nutty, spicy flavor works well in savory and sweet dishes. It is used in a variety of cuisines ranging from Indian to Middle Eastern to Asian. 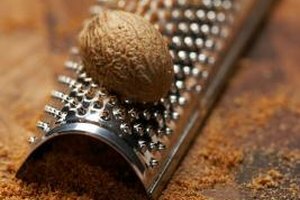 The flavor of nutmeg is relatively delicate compared with other spices that come from the evergreen tree, but it’s certainly distinct. If you're out of nutmeg, you want the substitute to provide that same nutty, warm flavor. Ginger is pungent and spicy and adds a distinctive zest to savory and sweet dishes. You can buy it in fresh root form -- which requires grating before each use -- or dry. 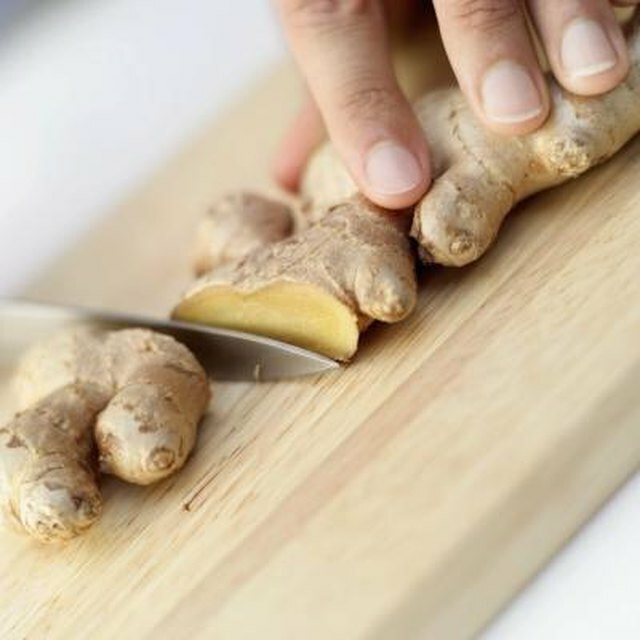 Ginger can replace nutmeg in Asian cuisines, vegetables and fruit dishes. Substitute in equal proportions. Mace comes from the same evergreen tree as nutmeg and they’re similar in flavor. This aromatic spice is made from the dried aril -- which covers the nutmeg seed. Substitute mace in equal proportions in any dish that calls for nutmeg. Cinnamon is fragrant, warm and sweet -- similar to nutmeg. Use cinnamon in place of nutmeg for cakes, pastries, frostings and other dessert recipes in equal proportions. In a savory dish, substitute one-half teaspoon of cinnamon for every one teaspoon of nutmeg. Cloves are aromatic and distinct. While cloves and nutmeg usually work together, if you are using cloves alone, use one part cloves for every two parts nutmeg. Cloves work well in savory, sweet and drink recipes. Cardamom is related to ginger and has a ginger-like flavor. You’ve likely tasted cardamom if you’ve ever had chai tea or eaten a lot of Indian cuisine. Use cardamom in equal proportions to nutmeg in any recipe. Allspice tastes similar to nutmeg, but has a slightly fruity flavor t-- a combination of cloves, nutmeg, cinnamon and pepper. Replace nutmeg with an equal amount of allspice in sweet and savory recipes. What Is the Cooking Substitution for Granulated Garlic?